The moment the debtor files for bankruptcy, he or she should start considering ways of rebuilding their credits lost in the whole procedure. Though bankruptcy will stay for around ten years on your credit record does that does not mean that you cannot indulge in any financial plans such as buying a car or student’s loan. 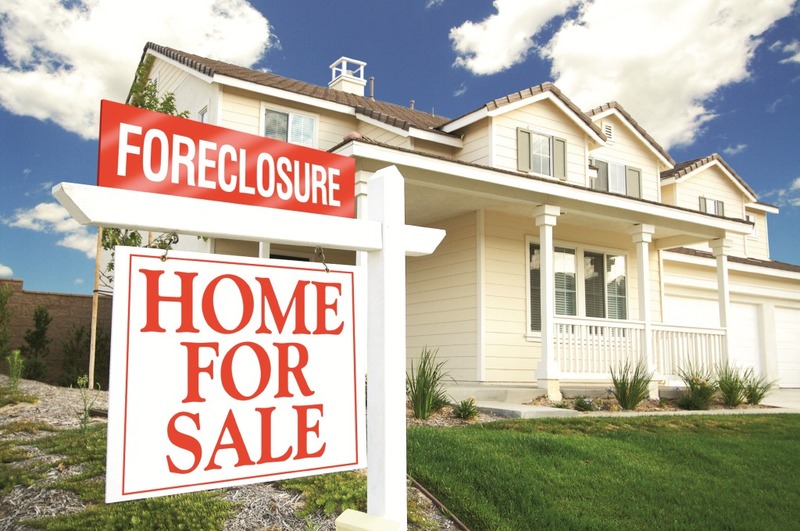 In fact foreclosure actually brings about changes that are for the good. However there would be hardship as one has to keep check on their extravagance for sometimes in near future in order to build a strong financial base and recover from the crisis that has aroused from the Bankruptcy. There are several ways to rebuild credits by one aims to choose that mode through which rebuilding credits would be quickest as well as secure and steady. What is Credit Score and how it works? One can keep record of his or her credit score in order to undergo a self-analysis of their present financial state. FICO score or Fair Isaac Corporation is the most commonly used credit score recorder that scores your credit in a scale ranging from 300(worst) to 850(the best). There is a belief among many that there is no way to improve your credit score after bankruptcy till 10 years while in reality the records after bankruptcy equally matter hence one should be careful not to repeat all that initially led to the bankruptcy and the score will eventually increase. How can one rebuild Credits after Bankruptcy? Availing a secure credit card can help in boosting your credit score. It is possible for a person to apply for a credit card soon after foreclosure of the bankruptcy filing. However one should be careful to avoid applying for credit cards that includes an annual fee or application fee. But most important of all, one must make sure that they can clear their monthly dues in time. Refrain from using your entire credit limit as it affects your credit score. Obtaining a car loan or any other installment loan is another way in which you can rebuild your credit limit.While installment loans are harder to get after filing bankruptcy but not altogether impossible. Making timely payment on installment plans help you rebuild your credit score as well. One should however limit the use of credit cards after going through bankruptcy and should not apply for too many credit cards. 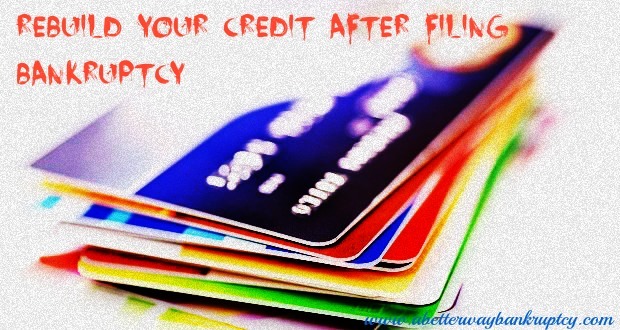 Try and don’t miss payments as this can become a major setback in your credit records. However you cannot obtain a home for a while after Bankruptcy. It is recommendable to wait for at least 5 years before taking up the decision of getting a mortgage because it will take quite a long time to rebuild enough credit score to make sure that your mortgage terms are within your limits. One should rebuild their credit slowly but steadily. Last but not the least, do not forget of your bankruptcy history even if it is no longer recorded on your credit report but in case you are asked of it while applying for new credit cards you have to answer “yes” as saying otherwise is illegal and considered fraud. 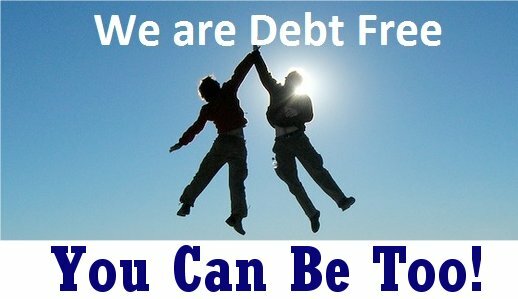 We do more than help provide affordable debt relief – we help you find a better life. Call For a FREE CONSULTATION: 1-844-ERASE-BILLS (844-372-7324)Call NOW !!!!!! Should you pay debt before saving ? Should I Pay off Debt Before Saving ? 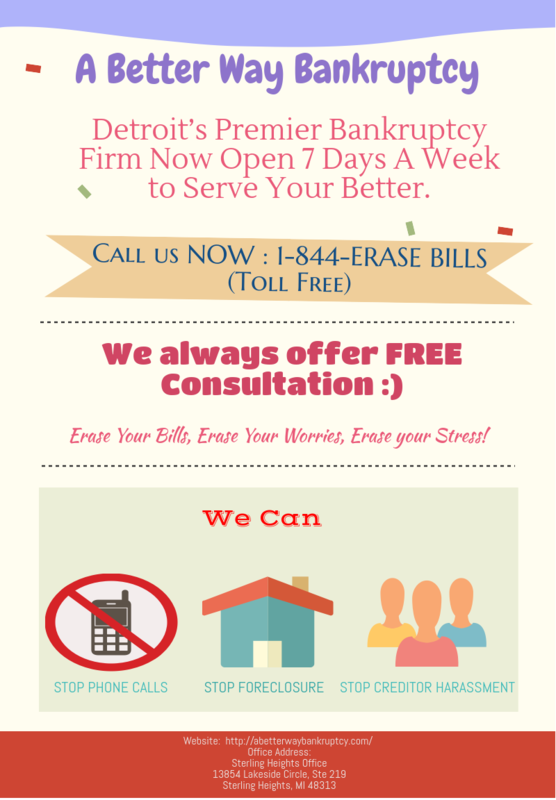 Affordable Bankruptcy Lawyer- Detroit’s Premier Bankruptcy Firm Now Open 7 Days A Week to Serve Your Better. A homeowner is eligible to refinance his mortgage loan after a yearly payments in the bankruptcy plan. A debtor is eligible to mortgage his property and can pay to the creditor in installments for a time span of three to five years. In fact refinancing the mortgage or keeping your property on mortgage may help the debtor to get rid of the bankruptcy in a very subtle and fast manner. Goals should be determined before refinancing. You are supposed to pay off your debt by mortgaging your property before bankruptcy or during or after bankruptcy. You know another important consideration which should be kept in mind is before you mortgage or try to mortgage under chapter 13 of bankruptcy you should consult your attorney, for further and detailed recommendation. He is the only eligible person who can who can guide you through procedures for mortgaging with proper details. During or prior to bankruptcy you are supposed to look in for banks which would mortgage your tangible property i’e. your home to take you out of debt with prior commitments. You are supposed to get approval of the Bankruptcy trustee and you are supposed to see whether you get that power to mortgage your property. The trustee will review the details and get back to you accordingly. You know another important parameter which creeps in is refinancing the mortgage can never be an option for the debtor under chapter 13 of bankruptcy. You know you have an option of staying in the chapter 13 of bankruptcy known as re-organisation bankruptcy where in an individual can requires to bring the loan and repay it in a period of 3 to 5 years.The lender or creditor will not be able to reject the loan payments when you charge this type of bankruptcy. You know financing mortgage under chapter 13 bankruptcy is usually possible but may not be the best call by you. It will be worthwhile for you to call a mortgage broker to inquire and assist you regarding a mortgage in chapter 13 bankruptcy, because the private lenders will want a higher interest rate from you. The best and most appropriate thing you can do is to complete the chapter 13 process as soon as possible and then make inquiries about your lender and proceed further with your attorney about this issue. Many creditors as far as we can count numbers would still consider a loan modification even while the borrower is inside and an active member under the chapter 13 of bankruptcy. The lenders or the creditors see themselves getting paid in 12 months in equal installments of the payments. Confused with the term foreclosure, want an answer, don’t worry you get one. A foreclosure in simple layman terms mean which department is handling your loan for the lender. Foreclosure is the procedure to which the court ascertains the amount due under mortgage, order its payments under a certain limited time and hence chose his or her liquidity of redemption. WHEN YOU SHOULD OPT FOR ATTORNEY? 1. When you are sure that the situation is out of your control and you know you cannot handle, opt for one. 2. If you need to fight the foreclosure in the court go for opting a foreclosure attorney not before that. 3. You don’t know how to fill in the paper work modifications about the loan then go in for an Attorney. WHEN YOU SHOULD NOT OPT FOR AN ATTORNEY? 1. When you have an immense knowledge about your subject, your loan and your mortgage amount. 2. If you know how to deal with the paper works and have an indepth knowledge about it, don’t go for hiring one. 3. One can always go in for consulting rather than going in for a full hired service person, this would be cost efficient. 1. DON’T WAIT FOR THE LAST MOMENT :– As soon as you serve a complaint, hire an attorney or lawyer immediately. Do not wait for the last moment. 2. KNOW YOUR RIGHTS WELL IN ADVANCE :- A foreclosure attorney will in advance make you aware of your rights and duties once you hire him for your work. He will help process the rights through a foreclosure process. 3. DON’T ASSUME YOUR LENDER HAS YOUR MORTGAGE :- Your attorney will help you and protect you against a lender on property that they might not properly own. 4. KEEP YOUR PAPER ARRANGED WELL IN ADVANCE:- Before hiring the attorney, keep your papers well in advance so that the process is not delayed. 5. SAVE ALL DOCUMENTS THROUGH A PROCESS:- Protect yourself and save all your foreclosure documents well in advance cause your lawyer knows how to help you out, but just give him a chance with all ease. 6. HIRE AN ATTORNEY IF YOUR LENDER TRIES TO CONTACT:- Hire an attorney for yourself when your lender contacts you and asks you to make the payments, hire a lawyer who lodges a complaint in the court. 7. GO IN FOR ATTORNEY AS SOON AS POSSIBLE:- A foreclosure attorney’s option in helping you depends on how early you get involved in the foreclosure process. The longer you wait, the fewer opportunities your attorney has to help you. 8. HIRE ATTORNEY ONLINE:-You may think you will save money going in for hiring attorney online. Save your time and resources by opting online. 9. REFER ONLINE SERVICES:- You can connect to a lawyer through online site and hire him on your preferred location and the type of case you want. 10. AN ATTORNEY WHO CAN BE YOUR COACH:- Hire an attorney who can be your coach , who will guide you through the process. 11. EXPERIENCED LAWYER :- Do not experiment with your work by hiring an inexperienced lawyer, rather go in for a qualified as well as experienced lawyer, who will really help you out in every sense. STUDENTS SAVE A PENNY FOR YOURSELF!!! Are you a student? Do you get paid by your parents on a weekly basis or monthly basis? Do you know the difference between being cheap and being on a budget? Most college as well as high school students are living in debt. Get smarter about the way you spend your money. Before making a purchase ask yourself is it necessary or just a waste of money. Shop SMART and place your extra cash into your savings account. Don’t go for a post paid phone rather go in for prepaid connection so that you know how much are you investing in your calls. Save money on transportation and conveyance rather than going in a cab opt for carpool so that you manage your expenses. Don’t hang around much with friends make it once in 15 days rather than twice in a week to cut short expenses. Rather than buying books go for a yearly library subscription or online libraries, this will fetch a good reduction in the prices of the books and hence you will have extra money saved. Boys don’t opt for costly and expensive gym rather go for exercising at home, instead of trade mill jog in the morning. Girls instead of going in for branded make up items go for unbranded but good make up products, be a little cost effective in your purchases. Surrender your credit cards to your parents, you know students are very much hooked up to the purchase in malls and they pay up by the help of credit cards, hence minimize the usage of credit cards. Go for cash payments. Instead of using an internet connection in your mobile phone try to go for Wi-Fi connection and also hot spot , this would again be cost effective in nature. Instead in for going in for movies at weekends and that to in the evening. Opt for matinee movies with discounts, book tickets online for further discounts. Try to earn extra cash with your hobby, do something in your part time to get that extra penny. Instead of going in for purchase of local news paper go in for e papers in your cell, just download the app for your convenience. If you are living alone in a flat go in for sharing the apartments with your friends or shift to local PGs for managing your cost. Stop buying impulse, give a thought in the purchase of your items and see whether you actually require it or not. In case of missed class notes don’t go in for photo copies rather write down the notes. Instead of taking conveyance for small distances walk up to near localities if possible. Students save your money! Life throws so many curve balls at us we all need a savings buffer for those unexpected bills. A penny saved today is a penny earned tomorrow 🙂 Think about it!!! Medical Bankruptcy :Could Bankruptcy Eliminates My Medical Bills ? Could Chapter 7 Bankruptcy Eliminates My Medical Bills ? The heavy medical cost and less coverage insurance is burning issue in America. The total system unfairly affects the middle class people. The losers are patient’s approx sixty percent. In US people are facing the burden of excessive medical bills. Secured Debt–A creditor has a secured debt if he or she has property and can foreclose it if you fail to make your loan payments. This is because the debt is treated to be secured by the property which acts as a collateral. The most common example is mortgage and car loan. 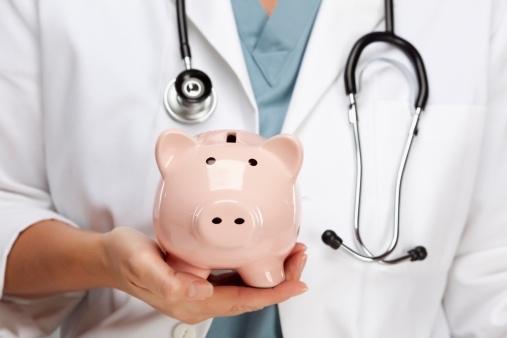 Medical debts are normally not secured by any property so they are not considered secured debts. Unsecured Debt– This type of debt is not secured by a piece of property which is further divided into priority and non priority categories. Priority Debt– These types of debt are usually non dischargeable as and paid before most other debt in chapter 7 bankruptcy.Though medical debts are not included in this category. Non Priority General Unsecured Debts– This type of debt like as unsecured personal loan, credit card and medical debt are relieved without any re payment in bankruptcy. Chapter 13 Medical Debt-It is good plan for those who don’t have any assets and in that case they will have to pay back a portion of the medical debt through the repayment plan and then the rest of the money will be discharged. So medical debt is treated in chapter 7 bankruptcy as it falls under the category of non priority general unsecured debt in chapter 7 bankruptcies. If you are struggling with heavy medical debt then chapter 7 bankruptcy is the easiest way to get relief from this heavy burden of debt. Your medical debt will not receive priority if the trustee is able to make your payments to creditors and the rest of the money is relieved when you get discharged. Residents of Michigan who are facing debt can obtain relief under the federal bankruptcy laws. Chapter 7 and chapter 13 are two main types of bankruptcy outlined by the US code that halt creditors and help you to protect your exempt property. It is mandatory for all individual debtors to complete a credit counseling course within six months before filing for bankruptcy, and to go through a financial management course within 45 of filing bankruptcy. If you want to file a bankruptcy under chapter 7 you need to qualify the Michigan “Means Test”. Basically the bankruptcy court will see your average income for 6 months before filing for bankruptcy and compare this income with Michigan median income. If your income is below the median income you are free to choose chapter 7. But if your income is over the median income then you need to complete the means test by calculating your income and expense information and the test will determine if you can fill for chapter 7 or you must file chapter 13. Initially you need to show your attorney your current income sources, your expenses, debts, property. The other information you need to collect is your major financial transactions for the last 2 yrs, documents for any loan etc. Once you have all this information you should go through Michigan exemptions. These are the exemptions or the properties you can protect from your creditors and hence you can keep this property with you and you have the option to use the federal exemption also in addition to your Michigan exemptions. Thus through this exemptions you can keep a certain amount of your assets safe with you in bankruptcy. The exemptions work differently on whether you are filing for chapter 7 or chapter 13 bankruptcies. Sometimes it protects the entire value of your asset or sometimes it protects up to a certain dollar amount of an asset. To keep non exempt property, a debtor must generally pay the trustee the value of the non-exempt property. The amount of property you can exempt depends on which state’s exemption laws are you using. There are also federal non bankruptcy exemptions but you cannot combine federal non bankruptcy with non bankruptcy exemptions. Your attorney will fill out the required Bankruptcy forms using the information provided by you. These forms include information regarding where you live, your assets (any property you have such as bank accounts, books, vehicles, etc), your income and expenses, and who you owe money to. At your signing appointment you and your attorney will review these documents to make sure everything is correct, you will sign them, and the attorney will file them with the court. A repayment plan needs to be submitted if you all filing under chapter 13 bankruptcy. And the plan should be delivered in good faith. Generally these payments will be withdrawn directly from your wages. A bankruptcy judge who will either confirm or deny the repayment plan. If your plan is confirmed the dischargeable debts that you need to pay will be eliminated. Chapter 7 and chapter 13 bankruptcy filing have its own advantages and disadvantages which your attorney will discuss with you. As soon as you file for bankruptcy an automatic stay goes into effect which prevents creditors from any foreclosure proceedings, garnishments, or filing any lawsuits against you. After filing a trustee will be appointed to you by the court. The trustee will go through all your papers and, in a chapter 13, will ensure that the creditors are paid as much as is fair and can challenge any element of your case. The trustee calls a meeting nearly a month after filing. This meeting – called the 341 Meeting of Creditors – is a short hearing with you, your attorney, and the Trustee. The Trustee makes sure you are who you are, the assets listed are all the assets you have, that your social security number is correct, and that you did sign your bankruptcy papers. HOW THE AUTOMATIC STAY OF BANKRUPTCY STOPS YOUR CREDITORS ? As soon as you file your bankruptcy, the automatic stay offers immediate legal protection against creditors. From the moment you file your bankruptcy, the “automatic stay” goes into effect and immediately stops collection efforts and legal proceedings by the creditors,collection agencies etc.Also, once you hire a law firm/attorney, you should refer your creditors to that attorney/firm. 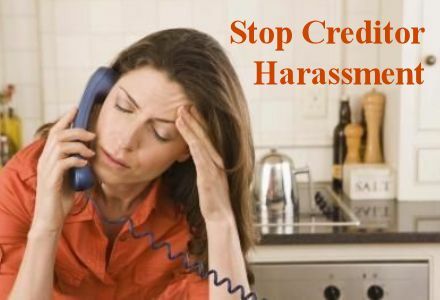 Under the Fair Debt Collection Practices Act, the creditors are not allowed to contact you and they must go through your attorney.This immediately stops those harassing phone calls! Now you are free to reorganise your finances in a chapter 13 bankruptcy or quickly discharge your debts in a chapter 7 bankruptcy without any pressure from your creditors. Your attorney will advice you on which chapter is the most beneficial for you. It is not actually the attorneys that stop legal actions against you but is, in fact, “The Automatic Stay” protection afforded everyone in bankruptcy under the bankruptcy code that stops all efforts from your creditors. 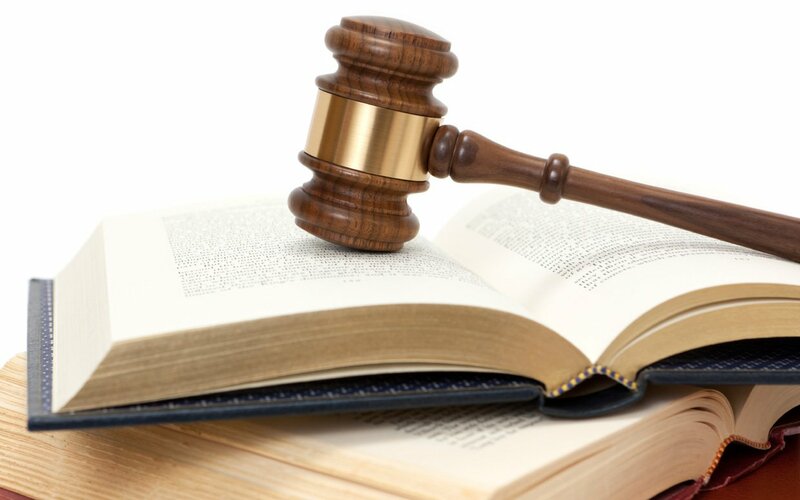 Lawsuits: It is deemed illegal as per “automatic stay” for a creditor to file and pursue a lawsuit and thus make any judgment obtained after your bankruptcy, filing void. If there is a court date and you want it to be stopped immediately, then your attorney can quickly send the creditor a notice of your filing and mostly after this you don’t have to appear in the court. Collections: Collectors are trained to worry and harass you in order to try and get as much money as early as possible. These collectors will do whatever without worrying and won’t even give it a second thought even if you cannot afford food, shelter and other basic amenities. Bankruptcy stops all collection calls or letters and stops any action being taken to take your money or property. Garnishments: The bankruptcy puts a stop on garnishment at any point , if you are worried that you will be garnished in the near future or already being garnished then by filing bankruptcy it will put an immediate stop to any more money being taken from you and in many cases your attorney can even get your money back. Utility Disconnections: If this is your situation that you are not able to pay your utility bill and the utility bill company is threatening you to that it will disconnect your gas or telephone services immediately then in such a situation filing bankruptcy will stop the disconnection for a minimum of 20 days. Bankruptcy allows you to make your payments over an extended definite period in a bankruptcy payment plan so you can keep your property. A creditor who wants to foreclosure on your home or vehicle after you fill your bankruptcy can no longer do so. The automatic stay stops eviction from your home and gives you great help. The automatic stay does not apply to criminal actions, domestic support obligations such as Divorce or child support. As a result if your wages are being garnished to satisfy domestic support obligations, the garnishment will not stop if you fill bankruptcy. 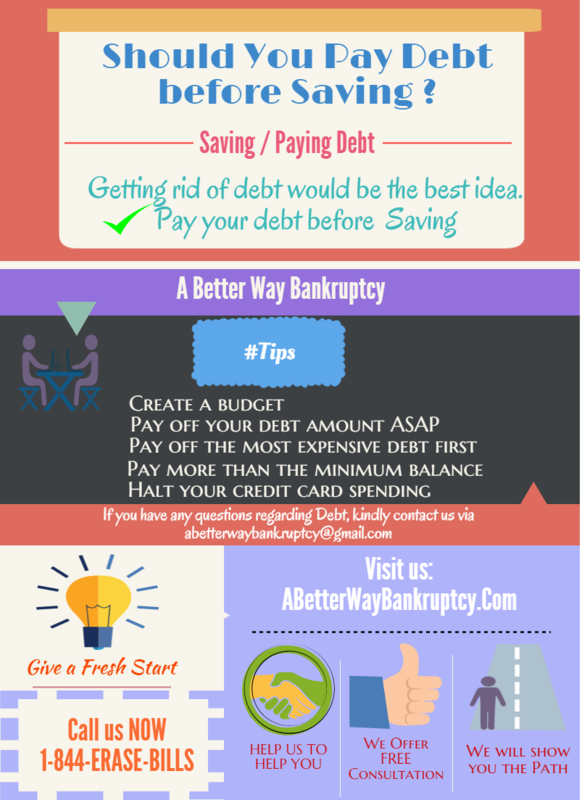 What Should I Pay For a Bankruptcy? One of life’s lessons is you get what you pay for. Tell me, if you had cancer or a brain tumor, would you want the cheapest doctor or the one with the most experience in what you need? I am betting you said “experience”. Law is no different. All attorneys are not equally competent in their fields. Same as there are good and bad doctors, there are good and bad attorneys. Now, just because an attorney charges a lower fee does not mean he or she is incompetent, this is a highly competitive market which works to your favor as the consumer. However, there are many, many attorneys who have never practiced bankruptcy but see consumers like you and see $$$, so they throw their hats in the bankruptcy ring. Are they competent in the bankruptcy field? Not so much. What are you getting, or losing, by shopping price only? How much money are you really saving if this attorney screws up your case? 1. How long have they been practicing bankruptcy law? Not law in general – bankruptcy. It is its own field and has its own rules and regulations, time limits and requirements. I would want someone who has been doing bankruptcy in your city (make sure they are local attorneys and not imported from other states) for at least 10 years. 2. Do you feel the attorney is competent? Do they answer all your questions thoughtfully, knowledgeably and thoroughly? Do you feel they can handle any problems that might arise in your case? Did they take their time with you or did they get your money and shoo you out the door? Your consultation should take an hour (at least). Make sure you get it! If you don’t feel like this attorney will do whatever it takes for you, keep looking. 3. Is this attorney personally handling your case or passing you off to a paralegal or another attorney? There is nothing wrong with other people helping prepare your case but, ideally, the same attorney should be with you start to finish. 4. Last, but not least, make sure they give your their fees IN WRITING at the time of your consultation. Under federal law a retainer agreement is required to be completed on every client an attorney meets with. So, the moral of my story is, don’t just shop price. Look for an attorney who makes you feel comfortable, secure and taken care of. One who instill confidence in you. This is your financial future, don’t just trust it to anyone. Remember, you get what you pay for. Call For a FREE CONSULTATION: 1-844-ERASE-BILLS Call NOW !!!!! !